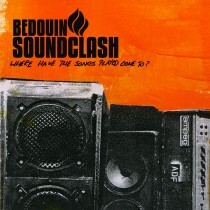 Named after Israeli fusion artist/producer Badawi’s 1996 release – which pays homage to nomadic Arabic poet tribe the Bedouins – power trio Bedouin Soundclash formed in 2001 at Queen’s University in Kingston, Ontario. Unlike most musicians who try to mimic their musical idols,Bedouin Soundclash forges their own musical path creating music embodying each member’s personal and diverse musical preferences. 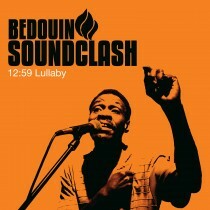 With a seductive combination of lead singer Jay Malinowski’s soulful wail and hypnotic rhythmic guitar grooves, Eon Sinclair’s deep dubbing bass, and Pat Pengelly’s driving rhythms, Bedouin Soundclash creates its own innovative fusion of Reggae, Rock, Punk and Soul. In 2002, the band recorded debut album Root Fire. Combining elements of dancehall, hip-hop, dub, reggae and R ‘n’ B with elements of punk and electro, Bedouin’s musical fusion caught the attention of audiences and press across Canada . Heralded as “one of the best albums [we’ve] heard lately” by Exclaim! Magazine, the buzz around the release created a great deal of anticipation as to what was to come. Determined to disperse its musical vibe, Bedouin Soundclash spent the next two years of their youthful musical career playing sold out shows across Canada before hitting the studio once again. Sophomore album Sounding A Mosaic (produced by legendary Punk-Reggae bass player Daryl Jenifer of Bad Brains) exploded on commercial radio and video stations across Canada with hit single “When The Night Feels My Song”. Shooting to #1 on MuchMusic and the#2 most played track at Canadian radio, the song was featured in a national Zellers commercial and garnered the band a “Best New Group or Solo Artist (CHR)” award at the Canadian Radio Music Awards 2006. 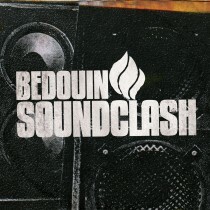 Topping off an already exceptional year, Bedouin Soundclash was invited to perform at the 2006 JUNO Awards (alongside Coldplay and Black Eyed Peas), where the three-piece took home the 2006 JUNO for “New Group of The Year”. 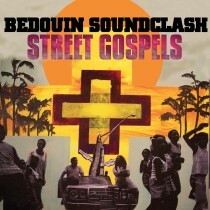 Bedouin Soundclash’s anticipated third album Street Gospels was released on August 21st, 2007 and features the singles “Walls Fall Down” and “1259 Lullaby”, the later which appeared on hit series GREY’S ANATOMY. Recorded in Toronto and New York with Daryl Jenifer’s talents again at the production helm, the album features Money Mark (The Beastie Boys) on keys and Wade MacNeil (Alexisonfire, Black Lungs).